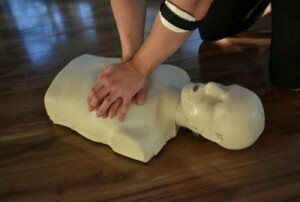 Learn the latest in CPR by taking a first aid and CPR course with us in Abbotsford BC. Vancouver First Aid Ltd is expanding further east in the Lower Mainland to offer Red Cross first aid and CPR courses in Abbotsford, B.C. Available courses will include standard, emergency and childcare first aid as well as WEFA (Occupational First Aid level 1 equivalent). Other courses available will include on-line and in-class food safe level 1 training and respiratory mask fit testing. The training centre will open in the heart of Abbotsford near public transit and with plenty of nearby amenities and free parking. When will the New Location in Abbotsford Open? Our new training centre will open in Abbotsford in the winter of 2017. Visit this page to see new updates on the opening date. What Courses will be offered? All of our core Red Cross first aid, CPR and AED programs will be offered as well as food safe and mask fit testing using the latest 3M masks. Stand-alone CPR and AED courses will be offered as well as Basic Life Support and Advanced Cardiac Life Support from the Heart and Stroke Foundation. No, registration will be available in late December 2016 or early 2017. Check back for more details then. We look forward to serving Abbotsford BC with the highest quality courses. We proudly offer incredibly competitive prices, high volume of courses in clean and well maintained training facilities. We use the latest in training equipment with experienced, fun and knowledgeable instructors.